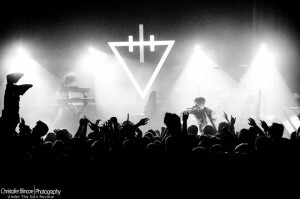 The Devil Wears Prada have announced they will be trekking across North America throughout November and December along with The Ghost Inside, Volumes, and Texas In July. The massive string of shows is in support of the metalcore giants’ forthcoming record, 8:18, which is set to hit stores September 17 via Roadrunner Records. Pre-orders for the full-length are available here. All of the tour’s confirmed dates and locations can be found through the jump, so take a look and see if The Devil Wears Prada are coming to your city later this year.